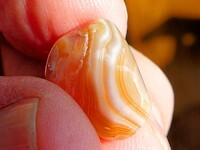 See Links to more Agate & Beach Rock Pages at the bottom of this page. Also Books we recommend for Agate Hunting and Beach Rock Collecting. Rock hunters and agate collectors traveling around Lake Superior should consider taking a slight side trip (on Interstate 35) about 36 miles south of Duluth, Mn to see the very impressive Lake Superior Agate collection and rock displays at the interpretive center located with the Moose Lake Park Visitor Center. If you have a annual state park pass or a pass for the day from visiting another Minnesota state park, admission to the Geological Center is free; otherwise there is a modest admission charge (in my opinion worth the fee if you are interested in agates). < < < The entrance to the Geological Center & Visitor Center. Inside, in addition to the agate and geological display, is a nature store/bookstore and the usual state park visitor center facilities. < < < The agate collectors "Wall of Fame" shows some amateur collectors and their finds. 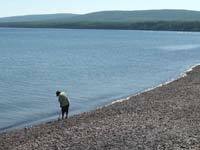 Although we enjoy combing Lake Superior beaches in hopes of finding an agate, many collectors find scrounging around old (or new) rock quarries more productive. In -innesota, the geological formations that contain Lake Superior agates stretch far from the current shoreline of Big Gitche Gumee. < < < Here's an even better close-up view of that same rock for Rock Hounds who have had trouble distinguishing it from Granite. The large black crystals of biotite are more predominant in Gabbro than they usually are in Granite. The white and white-grey translucent crystals are plagioclase. The clear and more transparent crystals are quartz. Granite, while also containing some of the same crystals as Gabbro, is generally lighter in overall color and more likely to contain shades of different colors - pinks, reds, yellows. Here's a pretty ugly rock that has been cut open to reveal it is an agate on the inside! Here's another agate with a "pretty face" and a "plain face." The pit marked, and generally unattractive, husk of a Lake Superior beach agate often disguises what may be on the other side or the inside. The husk is usually rougher, with pit mark impressions, than its neighbors. 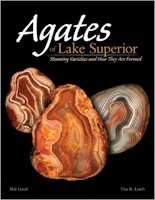 Several of the Agate Hunting Books we recommend (see bottom of the page) have numerous pictures of agates in the rough . . . which rock pickers and agate hunters need to learn because the polished ones we often see in shops and pictures don't often occur in nature looking like that. 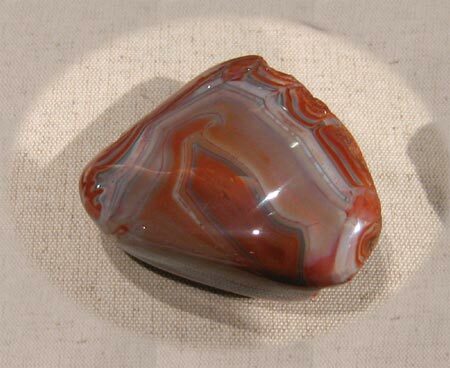 < < < Here's an eyeball agate, a rare and beautiful find. This specimen has been polished to better show its beauty. (the white specs are reflections from the glass of the display case). Go Here to see my Agate. It is part way down the page near the bottom of the page. Also check out some very nice agate images of Lake Superior Agate specimens found by Jeff King. Agate Cousins. On this page you can see some pictures of Agate Wanna-Bee's - which are distinctive beach stones that can be confused with or misidentified as agates. 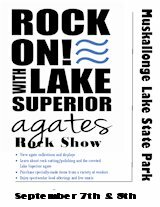 The 2017 10th Annual Rock On Agate Festival will be held held Sept 9 & 10th at Muskallonge Lake State Park. 2014 Rock On Agate Festival. Karen Brzys. 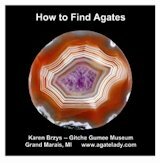 Director, Gitchee Gumee Agate & History Museum, has created this comprehensive tutorial to finding agates. Includes over 750 photographs and diagrams. This is required handbook for rock pickers who love to comb Lake Superior beaches looking for pretty rocks and hoping to find an agate. Identifies some of the UP's best rock picking beaches. 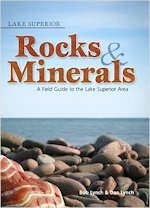 Here is another book recommended by a Superior Trails reader and rock hound who was able to identify over 50 rocks found on the beach using this guide by Kevin Gauthier and Bruce Mueller. 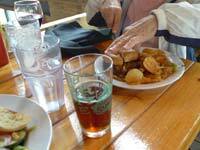 Also included are tips for polishing the stones and rock. Kevin and Bruce also publish a similar guide for Lake Michigan rocks. My wife Jo found this agate hunters book while traveling in the UP and thought it would help her find her first Lake Superior Agate. It is full of tips for agate hunting (and rock picking) and has some very good color photographs of a number of agate variations as well as photos of the other kinds of rocks you'll find on Lake Superior beaches. Sparky's guide covers what north shore beaches to comb, a bit of history on the formation of the various rocks found on beaches, and helpful information and pictures on identifying beach rocks and minerals. 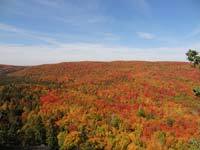 North Shore Fall Colors from the top of Moose Mountain. 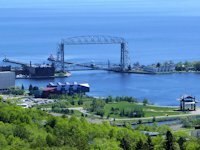 Tall Ships Duluth Festival returns in 2019. 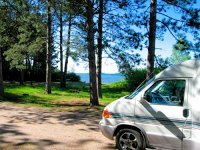 Enjoying the great swimming Beach Big Bay State Park on Madeline Island. 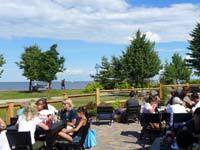 See the lighthouses on an Apostle Islands Cruise. 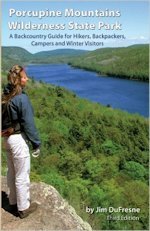 See our reviews on Best Hiking and Camping Guides around Lake Superior. How to recognize Lake Superior Agates and Beach Rocks. 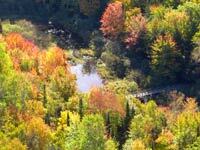 See our Directory of our favorite Upper Peninsula Scenic and Recreation areas. 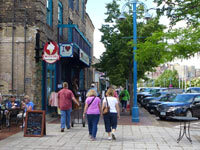 Don't miss experiencing Duluth's Canal Park, Shopping and Entertainment District. See Our Reviews of the best guides to Lake Superior Agates and Beach Rocks. 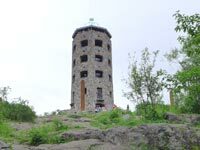 Duluth's Enger Park Tower provides a panaramic view of the city of Duluth. 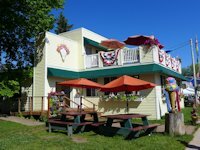 See our guide to interesting and fun things to see and do on Madeline Island. Reviews of golf courses around Lake Superior.